I don't know how I missed a certain tv development and I'm feeling a little ashamed. One of my favorite set of books is coming to the small screen over the next year or so. The first is Joe Lansdale's Hap & Leonard series and the Sundance Channel is bringing it to life. The two characters' violent escapades kicked off in 1990's brutal Savage Season. 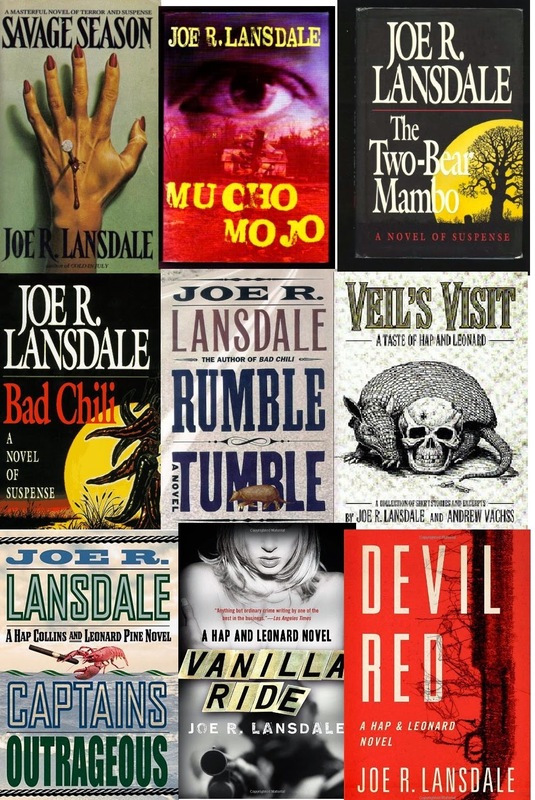 The next three books, Mucho Mojo, Two-Bear Mambo, Bad Chili, and Rumble Tumble are almost as good. I found the later books (that I've read so far), Captain's Outrageous and Vanilla Ride to be a little stale. The prose is still electrifying but the stories feel thin and look a little pale next to their predecessors. Be warned, these are among the most violent books around. Lansdale subjects his aging heroes to tremendous abuse and as hard as they try (well, Hap at least) to avoid it, bodies tend to pile up around them. Many of their adventures take them into the creepier sub-basements of Texas criminal world. Great as they are these books aren't for the fainthearted. Sadly, another show that was in the works, Hoke, is not coming to tv anytime soon. 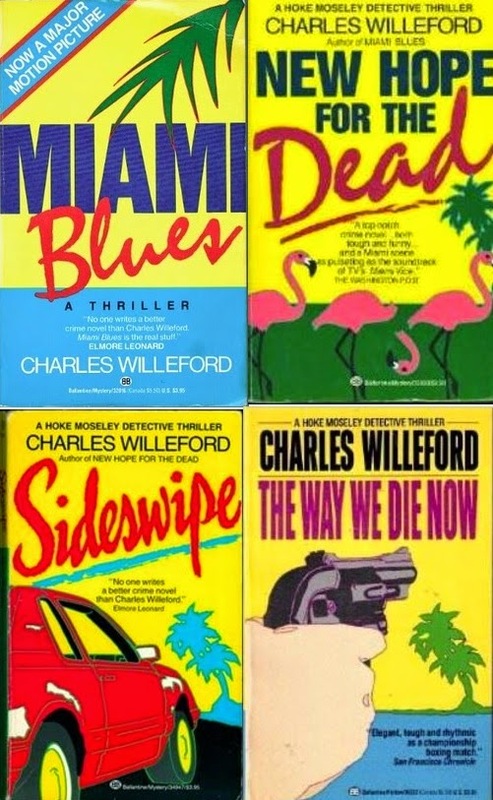 Paul Giamatti filmed a pilot for FX based on Charles Willeford's Hoke Moseley. Sadly, the network passed on the show. Guess I can track down and watch Miami Blues starring Fred "Tremors" Ward as Hoke Moseley again. I actually bought some honest-to-goodness physical books this past summer. Two, actually. One's thin and one's thick. 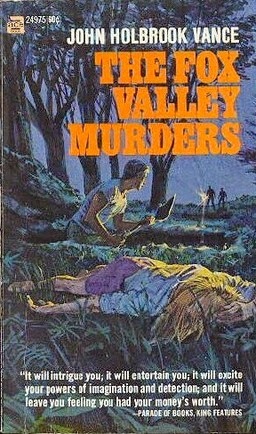 The thin one's The Fox Valley Murders, one of Jack Vance's mysteries. I've never read one. I enjoy his sci-fi/fantasy work immensely and expect good things of this. 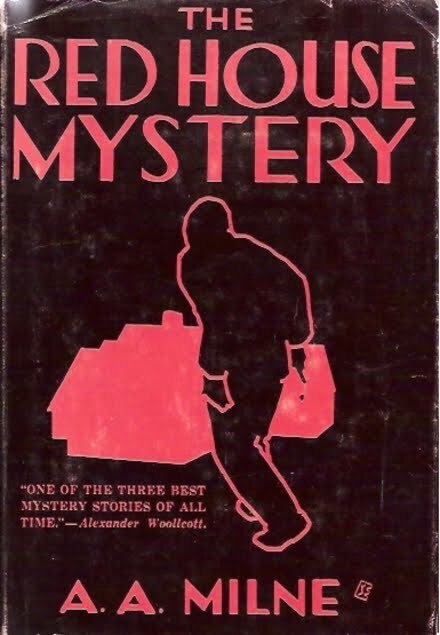 I'm anxious to see how someone I know for black humor and ornate prose handled what looks like a small-town mystery. The replacement was a Norton Critical Edition of Othello. I've read a decent amount of Shakespeare over the years and took a class in college but I've never read this (or The Tempest). I pick up Norton Critical Editions pretty much whenever I find them in decent shape. Even when I don't read the plays or stories right away I read through the attached essays and criticism. I also bought several e-books over the past season. 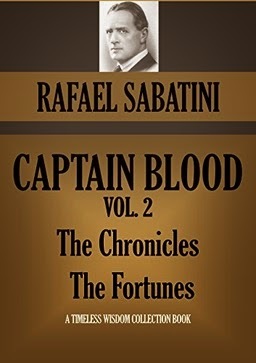 For $1.98 I got all four Captain Blood books by Rafael Sabatini. Sure, you can get 'em for free on Project Gutenberg, and sure Odyssey is misspelled on the front cover, and sure there are typos, but what the heck, they're full formatted and have workable ToC so I'm happy enough for my two dollars. I'm well into the first book, a collection of linked stories titled Tales of the Brethren, and it's great. Blood's a much more pragmatic and dangerous character than Errol Flynn portrayed him. 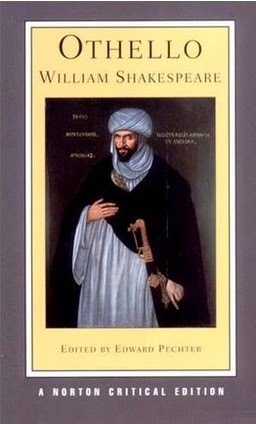 Last year I became aware of Laird Barron thanks to James McGlothlin's review of The Croning over at Black Gate. Deciding to see if I'd like Barron's work I bought The Imago Sequence and was hooked. 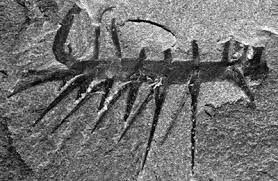 At some point in the story "Hallucigenia" I found myself feeling I should never bother writing again. Maybe I wouldn't be as affected if I reread the story tonight but in that moment, Barron's prose made clear to me what great writing is. 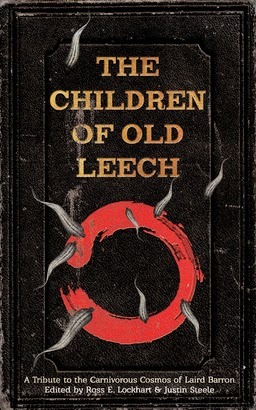 McGlothlin cost me some more money this August when he reviewed the new anthology of Barron-inspired stories, The Children of Old Leech. Unlike most books I mention in these Mail Bag post, I've already read this one. I'd give it a solid 3.5 stars. The good stories are great, gut-wrenching things. The last line of John Langan's "Ymir" will haunt me for long time. Unfortunately, the weak stories really stink. They're the sort that are all vague, and more dreamy than nightmarish. The sorts of dull stuff that too often haunts anthologies you otherwise love and makes you drop your rating down a notch or two. 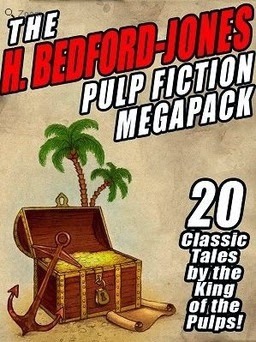 Finally, after Howard Andrew Jones' post, Pulp Swashbucklers, I sprung for two Wildside collections, the Pirates Megapack and the H.Bedford Jones Megapack, again at a total cost again of $1.98. Looking at the contents along with all the other stuff I'm supposed to be reading this fall I'm starting to feel a little overwhelmed. But in a good way. Recently my wife and I did genetic testing with 23andme. At this point, the only information they can give you is ancestral. For all sorts of reasons they, for the time being, can't impart any health/medical related stuff. Eh, I don't care too much about that. I already know way too much about my family's woeful medical problems. The ancestry stuff, though, that's what I'm interested in. Basically, it turns out, pretty much everything I was taught about my family heritage is completely true: I'm about as Northern European as possible. 95.9 % of my genes are from that part of the world. My dad's family is English and Dutch. On the English side we're descended from John Robinson from Sturton le Steeple. He was one of the Pilgrim's pastors. 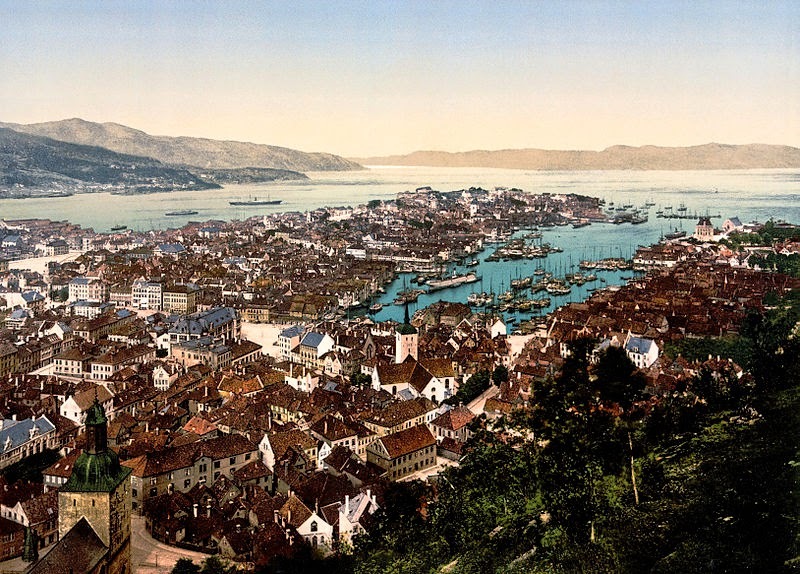 He remained in Leiden when they went to the Plymouth Colony but some of his children traveled there later. 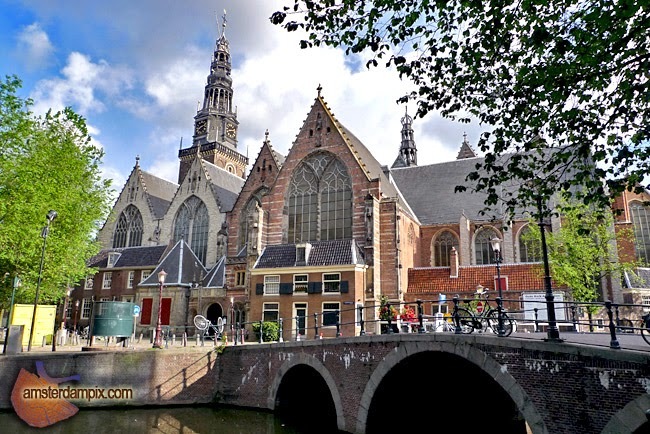 On the Dutch side, I have no clear information only that one ancestor worked for the Dutch West India Company. My mom was Norwegian, Swedish, and Danish. Her dad was Norwegian and Danish but grew up in Sweden, hence the Swedish spelling of my middle name, Anderson. Her mom was Swedish, and specifically a Swede Finn from Narpes. The genetic results show my heritage was pretty much exactly what expected. I am 32.4% Scandinavian, 23.5% British/Irish, 3.6% Finnish, .6% German/French, and 36.4% Broadly Northern European, 1.4% Eastern European, .2% Broadly Southern European, 1.7% Broadly European, and somehow, .1% Native American and <.1% Broadly East Asian. I always assumed that my maternal grandmother's family had to have a touch of Finnish in it. You can't invade, conquer, and convert a country without a little interpersonal business going on. I suspect the Eastern European reflect Finland's proximity the Russia, the Ukraine, and Poland. Since 23andme claims this info represents your heritage about 500 hundred years back and there was plenty of trade going on, I'm not surprised at any Southern European blood. I have no idea where the Asian/Native American genes come from at all. Maybe some of it comes from those theoretical Russians. I guess I was hoping for some sort of surprise in my genetic history. Maybe there was some secret no on in the family let on to. Maybe we were secretly descended from a line of Italian merchants. Maybe I had Gypsy blood or Romanian (If you've seen my picture over at facebook you'd know even most Northern Italians are dark compared to me, so Romania's about as south or east as I could dare to hope). Many of us dream about being something other than what we are, have a little mystery that lies there waiting to be uncovered. Well, this proves there isn't one. I'm a whiter than white white guy whose family probably never ventured south of the Rhine River or very much east of Finland. It's actually pretty cool. It means the stories told me by my parents and grandparents hold up to the science. 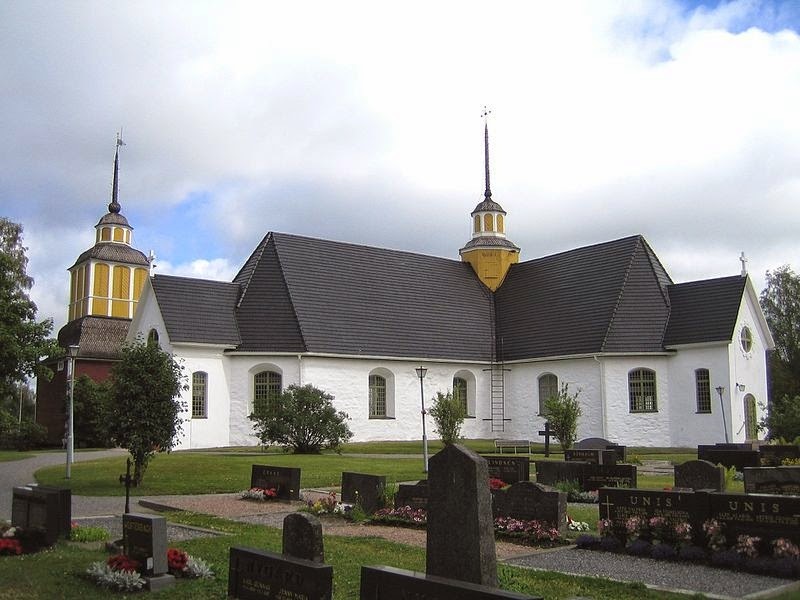 The stories and myths that hold the greatest place in my heart, those from the British Isles and the Nordic states, are connected to my actual ancestry, so I got that going for me. 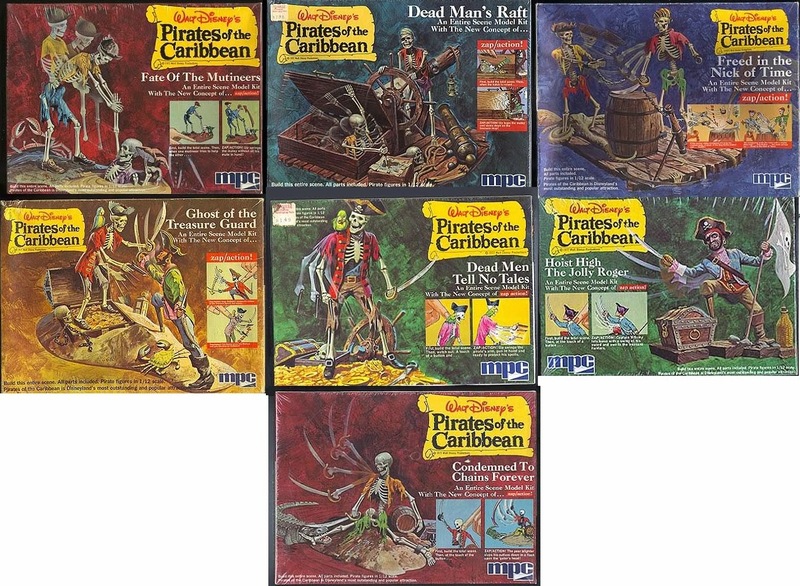 Disney really had a lot to do with my love of pirates. When I was eight, my aunt took me to California. Disney Land was definitely the highlight of the trip and the Pirates of the Caribbean ride the highlight of that. 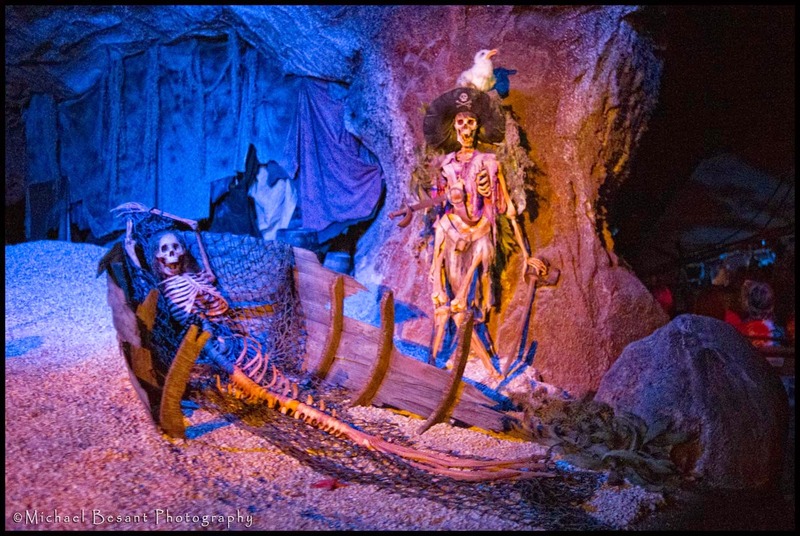 Later, Disney allowed MPC to make PotC action dioramas. I had a few of them. The pieces were cheap and the action didn't work well. But I didn't care. They were super cool. Freebooters, Buccaneers, Privateers, and Pirates! I love pirates. Even knowing the bloody, violent truth about them and their era, I'm fascinated by the history of men who broke free of the bounds of society, poverty, or slavery, and created floating republics able to wrest a living from the wealthy and powerful. 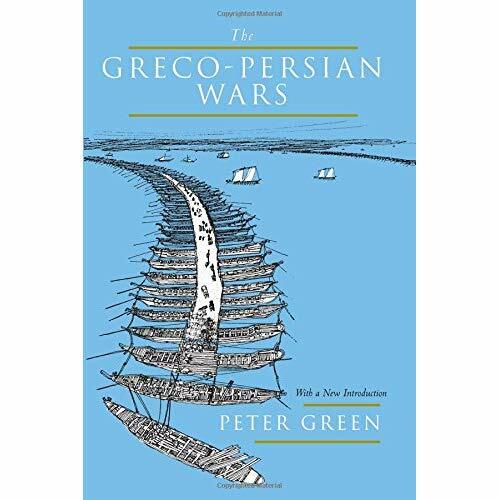 While there are bits of truth in that description, for the most, whether they were the government sanctioned Dutch freebooters or English sea dogs, or the multi-ethnic buccaneers, they were a bloody minded bunch. And I admit, I don't really care. 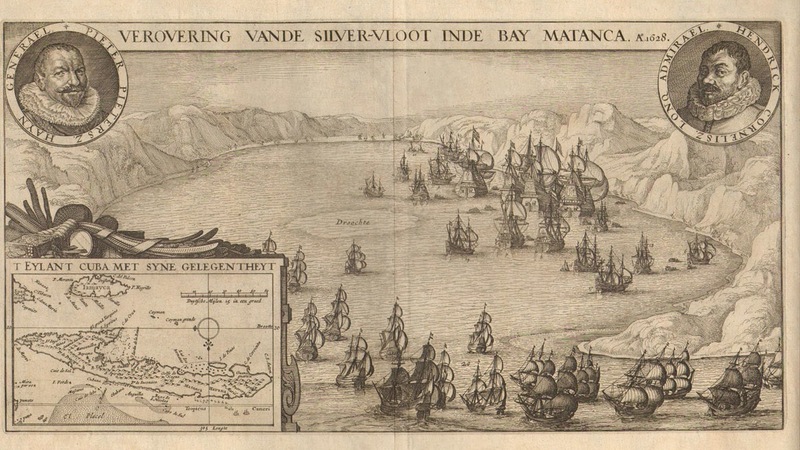 The early Dutch and British privateers in the sixteenth were direct agents of their respective governments with the goal of damaging the Spanish in any way possible. The buccaneers and privateers of the next century were more independent but more or less loyal to their nations of origin. By the end of the seventeenth century, the rise of professional navies and the success of the non-Spanish colonies, privateering became rare. All those men who'd made their living stealing from the Spanish turned were out of work. 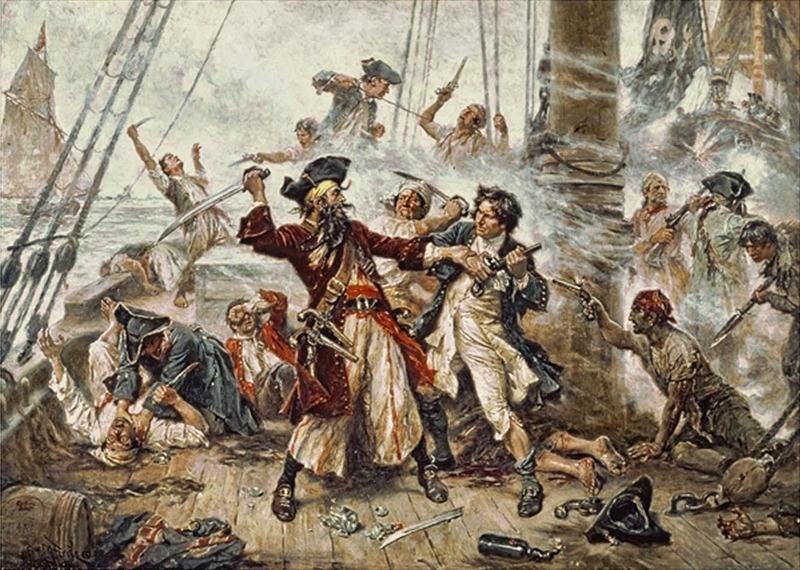 The bold (or desperate ones) turned pirate and stole from everybody. The Spanish make easy villains. The Dutch, English, and French out to steal the wealth the Spaniards had stolen from the native empires are easy heroes. There were acts of great boldness and bravery that are thrilling to read to this days. I'm not sure what the first pirate I ever saw was but I imagine it was Captain Hook in Disney's Peter Pan. With curled hair, ruffled cuffs and that hook, he was probably what most people imagined when the heard the word "pirate" until the advent of the movie Pirates of the Caribbean. 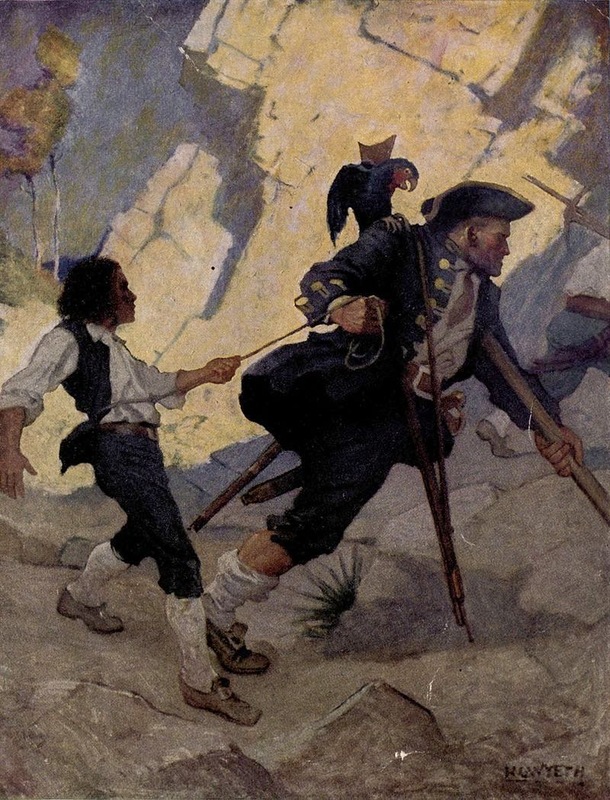 In the years that followed, I watched Captain Blood, The Black Swan, and in Treasure Island read about Hook's only real rival until the arrival of Jack Sparrow, Long John Silver. Forgive the pun, but I was hooked. 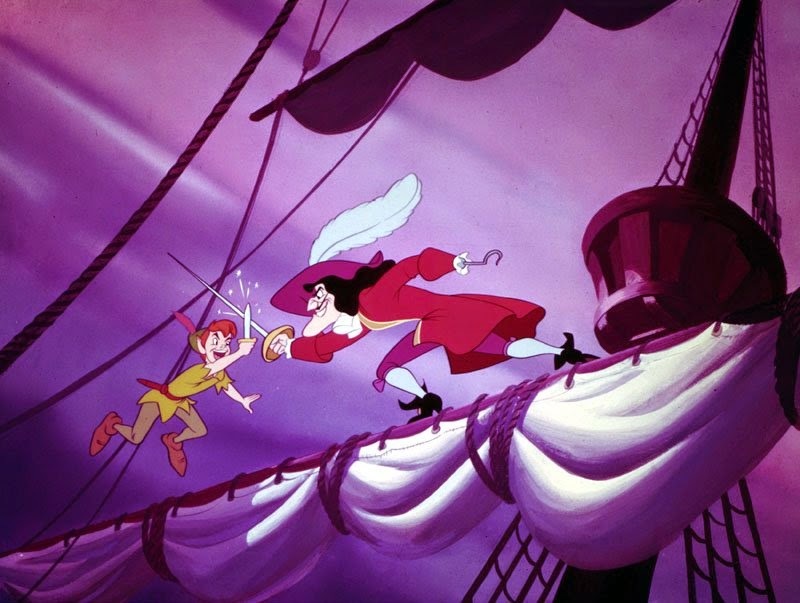 Even Peter Ustinov's Blackbeard in another Disney movie, Blackbeard's Ghost, was good enough for me. Eventually, I started reading historical accounts. First came the American Heritage Junior Library book, Pirates of the Spanish Main. It's a nice introduction that doesn't totally dispel the romantic veneer of the age. 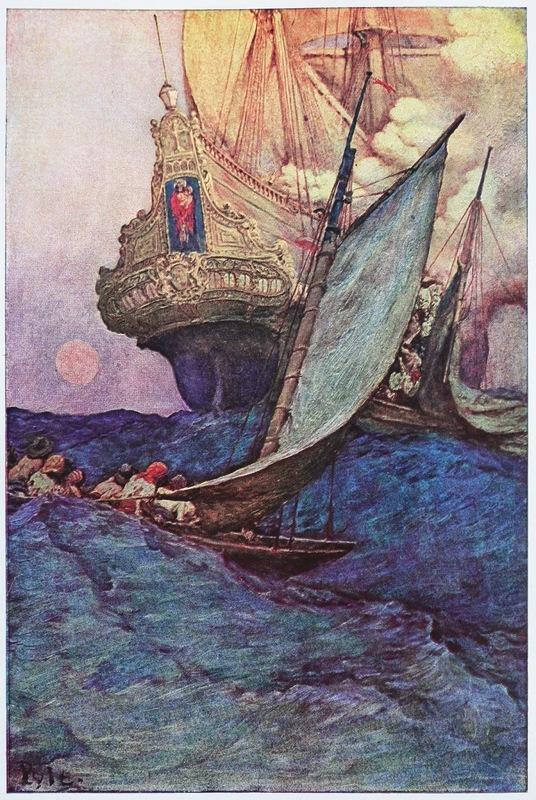 The illustrations are a beautiful assortment of period pictures and illustrations like the marvelous one to the left by Howard Pyle. The next book, snatched from my dad's shelves, was Funnel of Gold by Mendel Peterson. 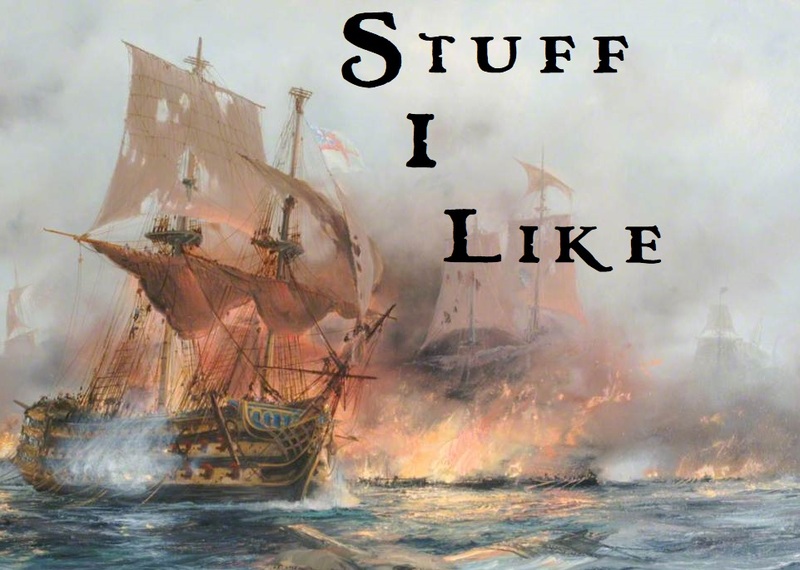 It's more than just a history of ship-borne thievry in the Carribean; it's a history of treasure taken out of the New World by the Spanish treasure fleets and the long war waged against them by the empire's European rivals. It takes what appears to be a small, individual ship-to-ship actions and places them in a larger context and gives them more significance. Other books and movies followed. Standouts include Alexandre Exquemeling's History of the Buccaneers of America and Roman Polanski's Pirates. I even got my friends to play a pirate-themed Fantasy Hero campaign. Tim Power's On Stranger Tides (1987) (apparently badly served and used as the basis for the last Pirates of the Carribean film), a novel of Blackbeard and black magic, was the basis for that game. My own character was a dour Dutchman named Pieter Hoothouf with one hook, one peg leg, and one eye. Charlton Heston's Long John Silver from the 1990 movie version of Treasure Island is even better than Robert Newton's classic timber-shivering version from the 1950 film and is still one of my favorite presentations of the genre. surrounding areas during the same period (the conquests of the Aztec and Inca empires, the European settlement of North America, etc. ), I have learned a good deal about the era and area. I haven't read all of them yet, but I have dipped into most and read a chapter here or there. All this is a long way of proving what I wrote at the outset; I like pirates. 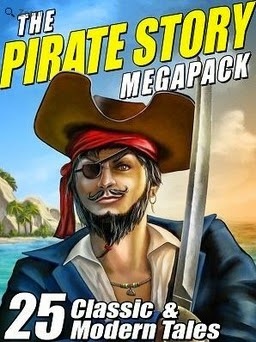 Recently, I prompted by a post by Howard Andrew Jones about historical adventure fiction, I picked up Wildside Press' Pirate Story Megapack. 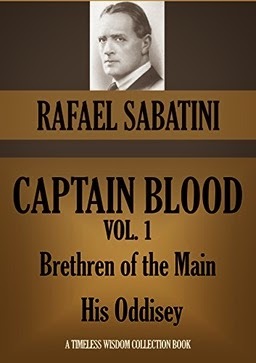 A conversation about Rafael Sabatini prompted me to buy the Captain Blood books. I'm pretty jazzed to start reading. I started this blog to make myself read more. I started reviewing at Black Gate to make myself read even more and force myself to take more care with my writing. I've been doing the former for several years now and the latter for nearly one. And now I'm taking a short hiatus. By short I mean about a month. That should be enough to catch my breath a little, read some longer books and some I won't review on BG (I can't figure any way to convince John O'Neil that John Le Carre's books are really S&S). I also want to take some time to line up some specific books to review over the fall. Too often lately, I've been rushing things and just grabbing things almost at random. Sometimes, it's been great, as when I finally read Carole McDonnell's The Constant Tower or Michael Chabon's Gentlemen of the Road. Other times less so, such as with Michael Moorcock's The Eternal Champion. My goal is to expose people to good stuff that due to its age or lack of publicity has slipped under the radar of much of the contemporary readership of S&S and related genres. I want to be more thoughtful about what choices I make so I need to step back a think it through. I've also got some stuff to take care. Yard work, emptying my late aunt's house of decades of acquisitions, having the nephews visit and watching Captain Blood in the backyard (Exposing my seven year old nephew to the joys of Errol Flynn has been one of the highlights of my life). When I start up at BG again in September I'll probably start off with something easy, like a Short Story Roundup. From there I've got a few books picked out that I hope people will enjoy reading about enough to try out for themselves. After, I'm hoping this break pays off enough to make my BG reviews continue to be worth wasting a few minutes on each Tuesday morning. As you can see by the "What I'm Listening To" box down on the right of the blog, I'm listening to the Black Crowes. I bought their first album, Shake Your Money Maker, on the strength of the songs "Jealous Again" and "Hard to Handle" and was happy to find the whole album's a blast. Then I forgot about them for a decade. A review of By Your Side in (I think) the NY Daily News caught my attention. Seems they had loosened up (and smoke a bunch of dope) and turned on to finding a groove and working it. Not as long-winded or indulgent as a jam band can be but less tightly-focused on verse-chorus-verse-chorus songs as they had been on the first album. I bought it at the late J&R Music and have been hooked ever since. I even bought their album of Zeppelin songs with Jimmy Page, Live at the Greek. If like the Faces, Mick Taylor-era Stones and a comfortable, relaxed vibe to you music, I highly recommend these guys. Good, good music.